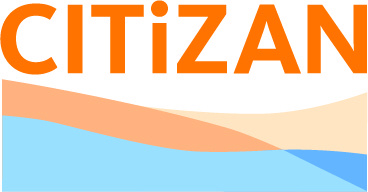 Thames Discovery Programme - CITiZAN Announcement! 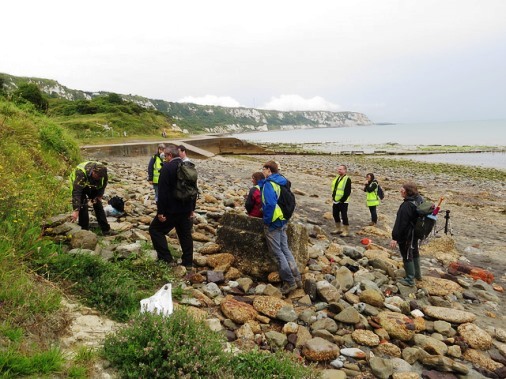 CITiZAN, the Coastal and Intertidal Zone Archaeological Network, has been awarded £1.4 million funding by the Heritage Lottery Fund (HLF), with additional support from the National Trust and The Crown Estate’s Marine Stewardship Fund. The three-year project will monitor and survey archaeological sites that are at risk from erosion along our coastline and tidal estuaries. Much of our island’s history is simply being washed away. Significant archaeological sites are continually battered by winds, waves and tidal scour. The alarming rate of loss and lack of a systematic standardised system to record these vulnerable sites are being addressed by the CITiZAN project. Coastal erosion can rarely be halted, but these exposed archaeological sites can be recorded before they are destroyed. Run by MOLA (Museum of London Archaeology), CITiZAN focuses on nationally important, exposed archaeological sites: the remains of prehistoric forests and settlements, Roman buildings, ancient salt-working sites, lost medieval ports, fishing settlements, harbour works, coastal defences from both World Wars and countless abandoned boats, barges and ships. 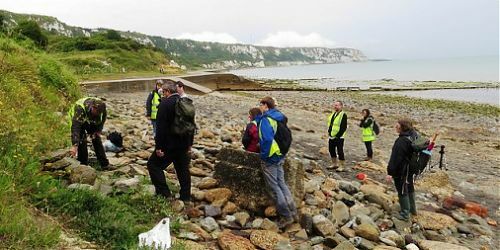 The CITiZAN team will deliver community-based training and create an infrastructure and network of volunteers with the skills and systems to be able to monitor and survey the highly significant but threatened archaeological sites around England’s coast and foreshores. The project is run from three offices: the main office at MOLA in London, and offices at the Council for British Archaeology in York and at the Nautical Archaeology Society in Portsmouth. •	Deliver training and outreach programmes led by the professional teams at three regional centres. CITiZAN will be recruiting volunteers from spring 2015 – please contact CITiZAN at MOLA for further information.